Is Justice Possible in Scotland? Rodger, Johnny (2015) Is Justice Possible in Scotland? 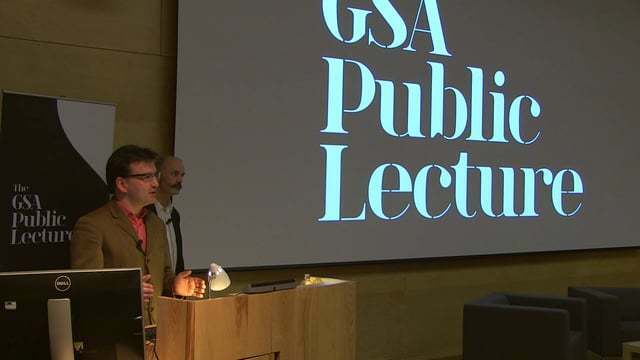 In: Public Lecture at Glasgow School of Art, 5th March 2015, Reid Auditorium, Glasgow School of Art. Is justice possible in Scotland? Where, and under what material conditions? The Art and Design disciplines can make unexpected contributions to the understanding and critique of a broad spectrum of civil life. Through a wholehearted engagement with the qualities of places and things in our daily lives we bring ourselves into relation with the world at the various levels of our being. Just so The Glasgow School of Art has long been an important presence and had a significant operation as a consciousness-expanding institution in Glaswegian, Scottish and wider European civil society. In his inaugural professorial lecture at the School, Professor Johnny Rodger carries on that tradition by exploring the symbols of justice and the spaces where justice is supposed to take place in Scotland.